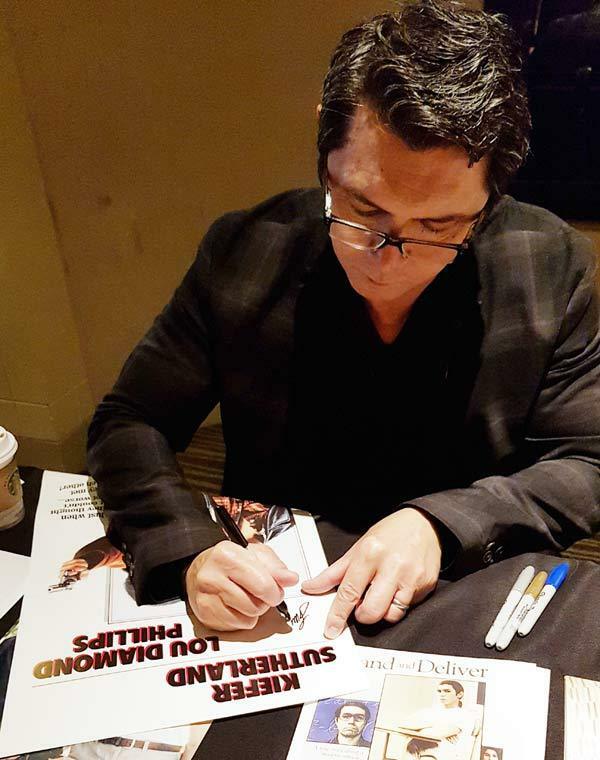 Lou Diamond Phillips was a popular guest at the Hollywood Show in Feb 2018. He signed a number of photos for patrons and one Australian Daybill for Renegades, the film he starred in with Keifer Sutherland. Autographed daybills are quite scarce as the actors rarely see them. He said he had wonderful memories of his time in Australia where he starred in the stage production of The King and I. Lou is one of the few actors who is able to master an Australian accent which was very impressive! Louis Diamond Phillips (né Upchurch; born February 17, 1962) is a Filipino-American actor and director. His breakthrough came when he starred as Ritchie Valens in the biographical drama film La Bamba (1987). For the Academy Award–nominated Stand and Deliver (1988), Phillips was nominated for a Golden Globe Award and won an Independent Spirit Award. He made his Broadway debut with the 1996 revival of The King and I, earning a Tony Award nomination for his portrayal of King Mongkut of Siam. Phillips' other notable films include Young Guns (1988), Young Guns II (1990), Courage Under Fire (1996), The Big Hit (1998), Che (2008), and The 33 (2015). In the television series Longmire, he played a main character, Henry Standing Bear.